Want to get out and have some fun? Come ride my boat with me! Figuratively speaking. 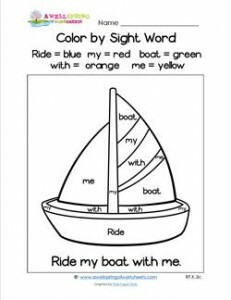 Grab your crayons and color by sight word. It’s the next best thing.